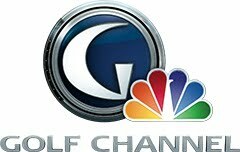 Eat Sleep Golf - Calgary: Really? Hockey Stick Putters? Hockey and golf are very different sports. But together, you can show your passion for play on the ice during a round on the links. 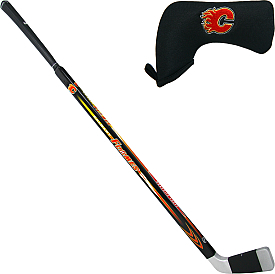 The Hockey Stick Putters NHL® team golf putter is a precision weighted flat blade with a compression molded graphite shaft, a cast aluminum alloy blade and moisture prof putter grip. The team's logo is stitched on a head cover. This putter can be used by both left- and right-handed golfers. I guess it has somewhat of a Happy Gilmore look to it. It's not my cup of tea, but I'd be curious to know what everyone else thinks and how many of these have actually been sold.